Five years ago yesterday, on the evening of Friday, February 23, 2007, the region's attention was suddenly focused on Detroit's Warrendale neighborhood in shock, horror, and - above all else - moral outrage. It was on that evening that six individuals walked into a home on Mansfield Street looking to collect on a drug debt. Before the evening was over, two young boys, ages 11 and 13, were shot and killed inside their family home. Their 23 year old cousin was also shot that evening, but survived. 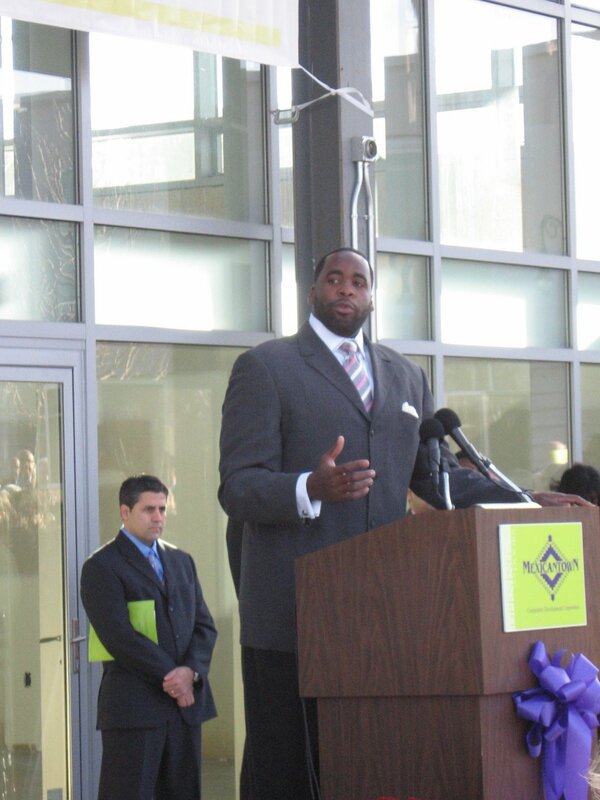 In the aftermath of that shooting, then Mayor Kwame M. Kilpatrick responded quickly. He and former Police Chief Ella Bully-Cummings not only spoke out fiercely against the tragedy that had unfolded in our neighborhood; they organized prayer rallies and community meetings to talk about what could be done to prevent this from happening again. 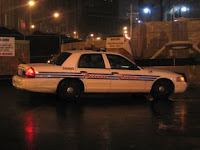 In the days and weeks after the shooting, the Detroit Police Department was everywhere. They projected a visible presence to assure residents that this would not happen again and to warn against retaliatory shootings. My coverage of the aftermath is available here. More importantly, within a matter of days, the Detroit Police Department had all six of those perpetrators in custody and facing a judge. 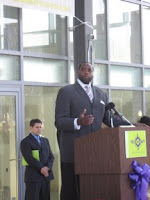 That, of course, was how Kwame Kilpatrick handled the situation. 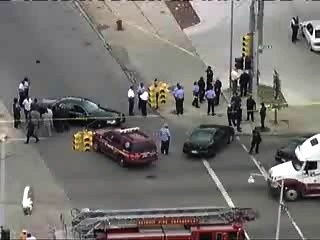 Flash forward to the afternoon of Tuesday, June 30, 2009 and this time the entire nation's attention was turned on the Warrendale neighborhood after two masked gunmen opened fire at bus stop, shooting seven teenagers in the process. Video from the shooting was on all of the local news stations as well as CNN and the other national networks. By this time, Kwame Kilpatrick was gone. He was replaced our current mayor, Dave Bing, who repeatedly promised Detroiters "change with a sense of urgency" during his campaign. There weren't any statements of condemnation from Mayor Bing after that shooting. No rallies or community meetings. 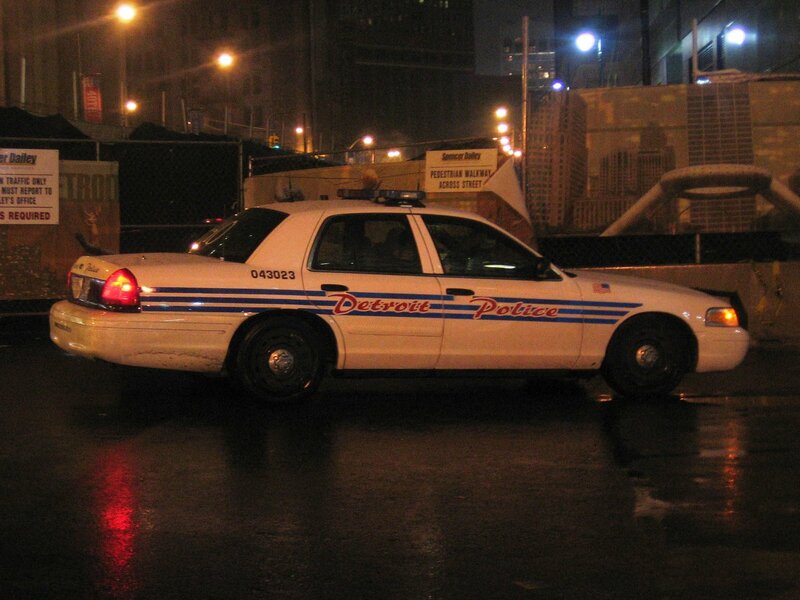 There wasn't a surge of activity from the Detroit Police Department this time. Most importantly, it would take the police more than a year to apprehend the two shooters this time. The impact that shooting had on the neighborhood was tremendous. Every concern about crime that every resident or business owner had became magnified. The Detroit Free Press and others wrote editorials pleading for Mayor Bing to take an aggressive public stance in this matter. Those pleas, of course, were met with deafening silence. And then, almost five years to the day after the Mansfield Street Shooting, gunfire again claimed the life of another child in the Warrendale neighborhood. This time it was a nine month old boy on Greenview Street who was killed when three unknown assailants fired round after round of automatic gunfire into his home early in the morning. This time around, there was at least a cursory state from the Chief of Police imploring Detroiters not to use firearms as a way to resolve disputes. However, we haven't seen the dramatic escalation in police presence in the neighborhood that we saw five years ago. More importantly, in contrast to the Mansfield Street Shooting, the police do not have any suspects in custody after almost a week of investigation. All we have is inaction from the man who once promised us "change with a sense of urgency." This is also on top of the disappearance of Margaret Theut, a seventy one year old resident of the Warrendale who mysterious disappearance last December remains an unsolved case; one that continues to garner more complaints of inaction from residents than any kind of official response from the police. From an academic standpoint, I find it interesting to compare the active engagement of Kwame Kilpatrick with the almost Zen-like disengagement of Mayor Bing. From a personal standpoint, however, it is simply too frustrating to analyse properly.